After designing and uploading your website you are onto the next step. How to get business from internet. The choice is two. One is either use your website to get business. Keep your website like a white elephant and when some body asks you can proudly tell and show that you have a website for business. And you can show to your websites to you relatives and friends. Please note that I will never buy a seo package if I have to do the search engine optimization of a website. 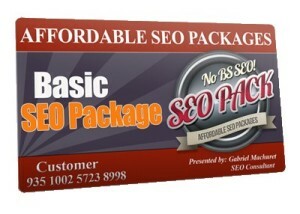 Most of the seo package available at the market is against the Google quality guide line. Most of the people think that SEO is directory submission, article submission,social link building. They will write an article which is called a keyword optimized article, in which they will be repeating one keyword in every 20 words (some times in bold), and tell you that they have written a correct keyword optimized article with 5% keyword density. Imagine you have asked some body to write an article about your national flag and He is submitting an article with repeating your national flag every time in 20 words, what you will feel. Second thing they will be submitting the articles to well known article directories like ezinearticles.com. To pass the PR vote you must have a referral links in your article. Not resource link. That is what google say is organic link, where a writer or blogger adds a reference links to add value to his writing or give reference to his readers so that readers can clarify that word in detail. But ezinearticles will not allow you to add any link on article body, and more over they will add a do follow resource link to your website. But adding a resource link with do follow link is breaking Google quality guide lines. In fact you can add no follow links in resource box to invite readers to your website. So if you look closely whoever submitting an article to ezinearticles or article directories, they are breaking the rules. Not only that most these seo packs proclaim that they will submit same article to multiple article directories which will invite web spam penalty. And they will tell you 100 social networking sites which you may not heard at any time. Make sure your SEO package does not contains article submissions to known free article submission sites like ezinearticles.com, articlesbase.com etc etc. Because 99% of articles are sponsored article or writers written for them self to show to their customers. More over they never pass PR vote to you and adding a do follow link is against google quality guide line. They only pass sponsored article penalty to you. So stay away from them. Make sure your SEO package contains quality articles that will be accepted to revenue sharing websites like squidoo, snydle, hubpages, blogspot and well know websites like wordpress, blog, tumbir etc etc. Never submit same article to multiple sites. You are inviting Webspam penalty. And none of the revenue sharing website will not accept duplicate content. Your SEO company or web designer should be capable of onsite SEO. like writing codes to wordpress theme so that different description comes on each page. There are lot of affordable seo packages are available on the internet. But make sure that they are know what they do. In India you can get 1000’s of seo experts who just heard about SEO. He will introduce himself as best SEO man you can hire. Just ask him what he is going to do and show some sample articles he has posted. If he replies that he is going to submit to ezinearticles and his sample posts/articles is keyword stuffed then you can understand he is another so called SEO expert who does not have a clue about it. But there are lot of good SEO experts are there who knows what are they doing. There are some people who is really affordable to and good. If you can find a local person that is always best. 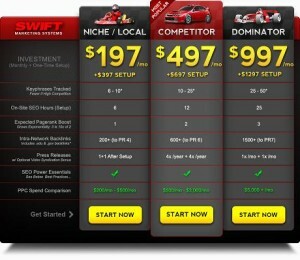 Because they are always available and can better interact with your web designer and with you.